BHOPAL: Like lambs sent to the wolves, an NGO entrusted with the welfare of minor girls — many of them disabled and mentally weak — had been sending them for months to the boys' hostel next door in the name of "punishment". The shocking fact, which has just come to light, has startled and enraged people across Madhya Pradesh where the Sehore-based NGO, Bright Star Social Society, had been running the two hostels for boys and girls. 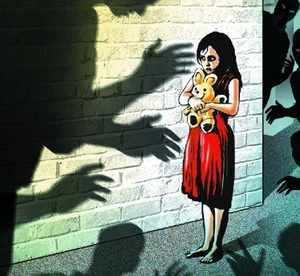 In raids carried out on Tuesday at the Mandi area of Sehore, which neighbours Bhopal, a team from the state commission for protection of child rights (SCPCR) found that the girls, almost all of whom were too terrorized to talk, would be forced into the boys' rooms whenever they "made a mistake" or complained to officials about the poor facilities they had to live with. "Senior madam would send us to the boys whenever she thought we should be punished for something we had done wrong," one of the girls told the SCPCR officials. "We were then made to do dirty things. Often we were thrashed." Another disabled girl was so terrified on being asked by the team what exactly went on there that she broke down and wouldn't utter a word. More worryingly, SCPCR chairperson Usha Chaturvedi told TOI that apart from gross irregularities in both the hostels, while records showed a total of 48 girls only 30 were present on Tuesday. "The rest, 18 of them, we were told by secretary (of the NGO) Avanish Jaffery, hadn't turned up since the Diwali vacation," she said. "Also, we found that all the 30 girls were stacked up in one room of 11 feet by 11 feet." The Sehore district administration has cancelled the licence of the NGO to run the hostels but little action has been taken against Sangeeta and Irshad Jaffery, who were heading operations. Questioned about it, district collector Kavindra Kiyawat said directives had been issued to the NGO to vacate the hostel within three days. Kiyawat has for now ruled out sexual abuse of the girls though there is no information on whether they had already been sent for medical examination. SCPCR has asked for a report now and ordered the district project coordinator to trace the missing girls. Meanwhile, during initial interrogation, Avanish confessed before the SCPCR team that though he had 15 days ago taken one of the girls to the boys hostel "on account of bed wetting", he had not left her with them. "I kept the girl with me and my wife," he said. Rajya Shiksha Kendra commissioner Rashmi Arun Shami, along with social justice commissioner B K Batham, also inspected the hostels and spoke to the girls. Calling the incident "very sensitive", both refused to divulge any further details about the alarming case.